We’re delighted to be working with Jesca Hoop once again – for our first show at the Stoller Hall! Jesca Hoop’s new album Memories Are Now, out 10 February on Sub Pop Records, wastes no time in making clear its confidence, confrontation, and craftsmanship. The stark and reverberant title track opens the set with ‘a fighting spirit,’ says Hoop, serving as an anthem to push through any obstacle and put forth your very best work. And she has unequivocally done that here, with an album of stunningly original songs–minimalist yet brimming with energy, emerging from a wealth of life experience, great emotional depth, and years of honing the craft of singing. 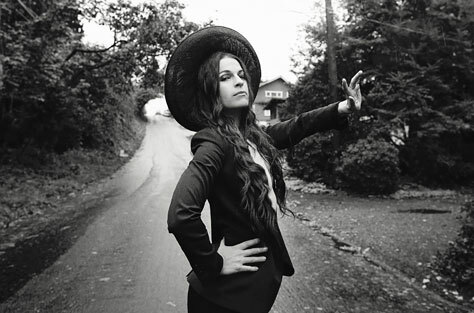 Songs of Old and The Coming, songs she sees as ‘twins’ on the album, confront the religion that weighs heavily on her past and the world. Tour support comes from Lucas Oswald. Lucas Oswald is a songwriter, producer, multi-instrumentalist, recording engineer and international touring musician. He is currently a member of Shearwater and Jesca Hoop’s band, and a past member of the bands The Appleseed Cast, Old Canes and Minus Story. 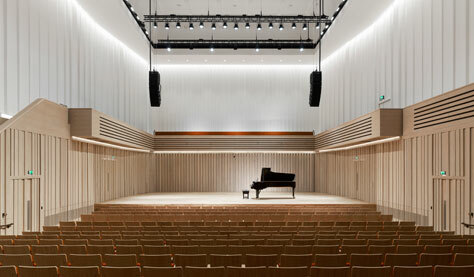 The Stoller Hall is a brand new, high-spec concert hall situated within Chetham’s School of Music in the centre of Manchester. It opens in April 2017. Buy tickets now. Tickets are available from Piccadilly Records, Vinyl Exchange, Stollerhall.com and on 0871 220 0260.